If you're worried about your teens' choice of arm candy, problem solved. These Millie Pink charm bracelets are cool, colourful and a lot less trouble than their latest crush. My 11-year-old daughter can sniff out a trend faster than our labrador sniffs a squirrel and she’s been wearing these wristbands all summer. So if you need to buy a gift for a girl teen (a tricky age group to buy for, let’s be honest) relax, we have it, like, totally covered. With added hashtags and emojis and everything, thanks to the brilliant Millie Pink. 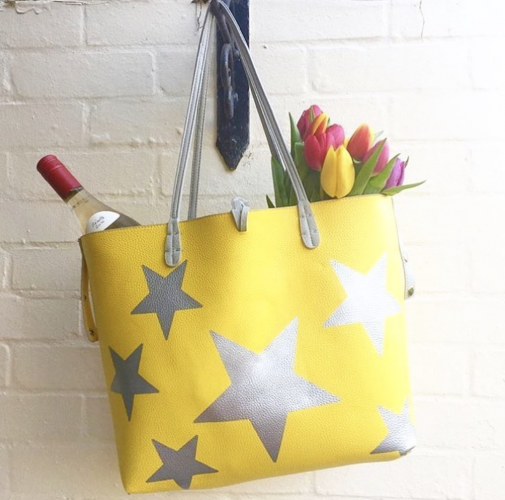 Owner Kirsten has just launched a cool collection of affordable jewellery, purses and cute stationary specifically aimed older girls. In fact they look so freaking good, you’ll be stealing off them for a change. You’ll find lots of pretty arm candy, like these silver plated charm bracelets. They’re available in glitter or velvet bands with a solid silver or rose gold heart or star charm (£12). Once you’ve chosen colour and charm, it will be packaged with a cute message (BFF/ Shine bright like a diamond/ You’re a star/ dream big) and arrives in a stunning midnight blue box. 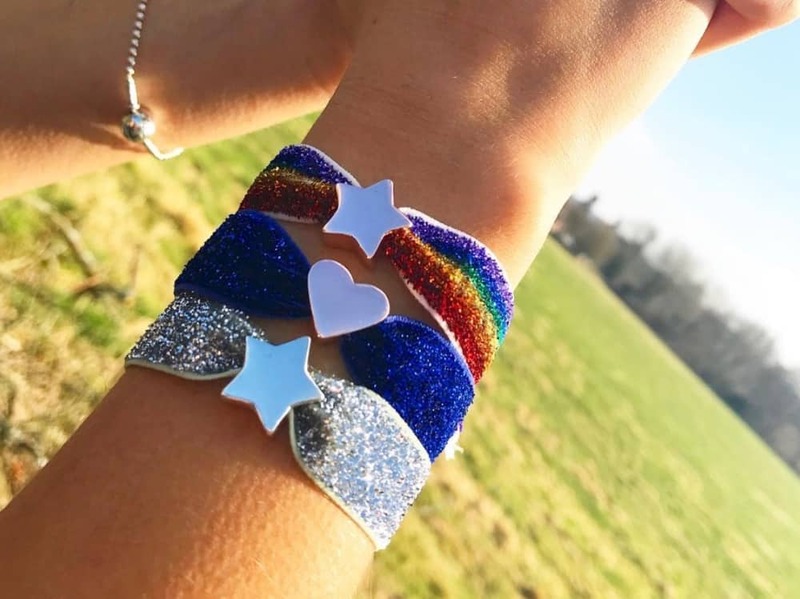 The rainbow glitter bracelets may have accidentally been purchased by me and I get endless comments about it too. There’s no issue with sizing, the charms are well made and weighty and is guaranteed to put a smile on the face of the most surly teen. Want to stop them raiding your jewellery box? Check out the bling. The rainbow silver half hoops, £16, are all shades of Fab.U.Lous Literally. Embrace the celestial trend with a delicate double layer stars and moon necklace, £20. 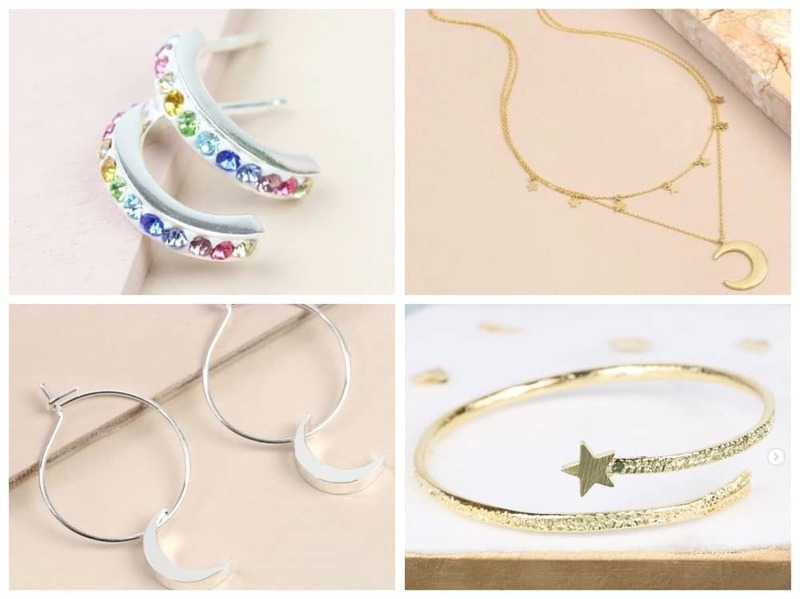 I’m loving the silver moon charm hoops, and they’re only £12. I could pay that in Accessorize and they would last 5 minutes. And as someone who is partial to a bangle, the gold star bangle, £19, is bringing out the magpie in me. What else? 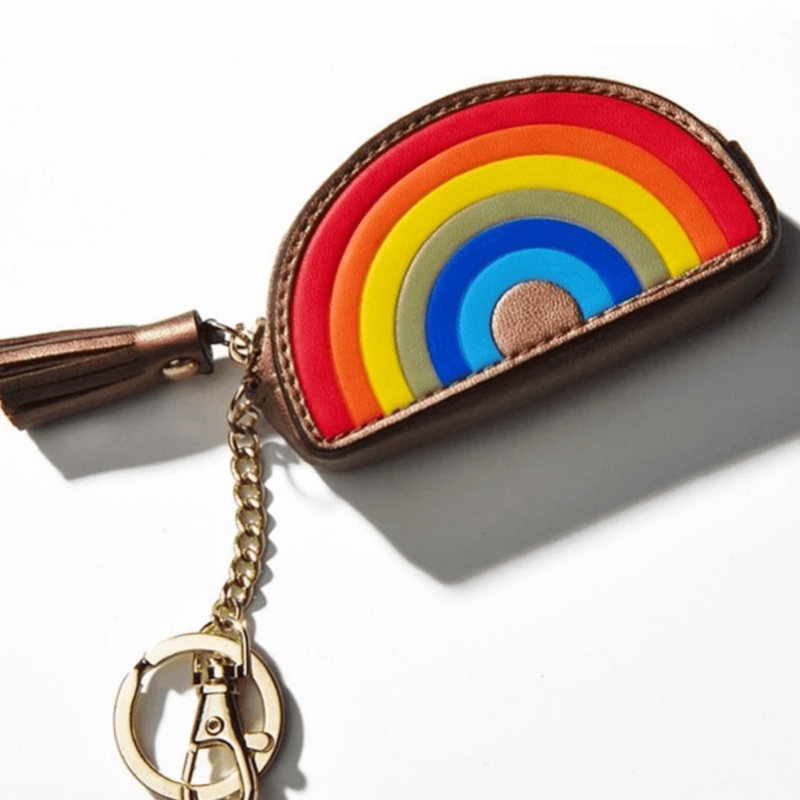 Well, this rainbow coin purse keyring, £10, has a bit of an Anya Hindmarch vibe. Fun, funky and useful for those moments when you need a £1 for the supermarket trolley. *Cough* Or your kids’ lunch money. In fact, just sling it on your bag as charm. I love it. And it’s an absolute steal. 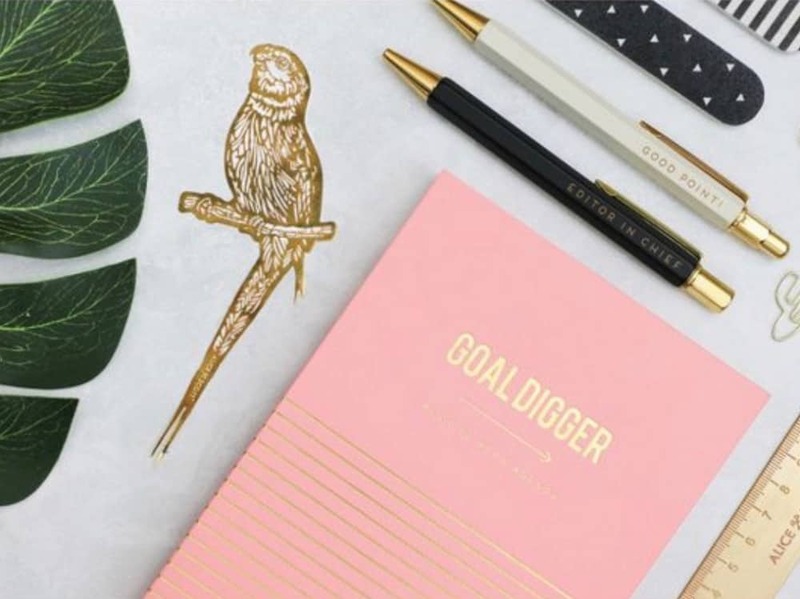 Finally if you need to motivate your teenager as they head back to school/ college/ uni, this Goal Digger journal, £12 is a must. It’s an undated week to week agenda for them to plot their goals (and social lives) in blush pink and gold splendour. I think I need on of these in my life too. In fact, forget the teen shopping dream, buy it all for yourself. They’ll borrow it anyway. 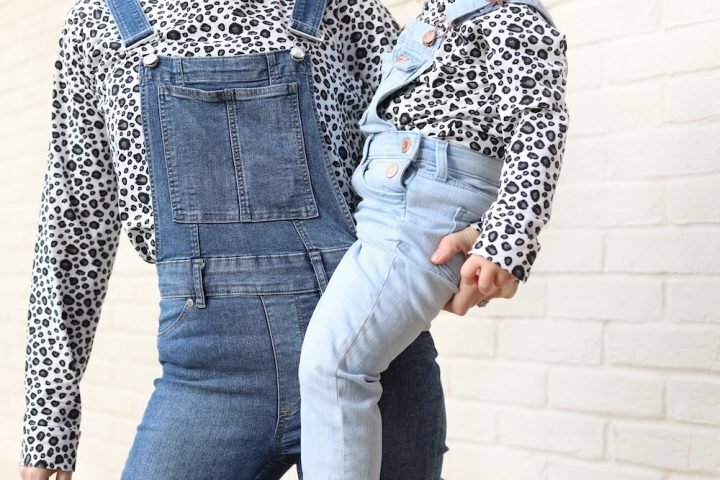 Head over to milliepink.com to see the full collection.